Meet 10 of the young professionals who are making Brunswick County a better place. These are some of the things Brunswick County’s Future 10 Class of 2015 said when talking about living in, working in and serving their respective communities. Each of these young professionals holds within them a spark of greatness that can and will illuminate Brunswick County. They’re educators and restaurant owners, counselors and real estate agents, husbands and wives. They work in a variety of industries in towns across the county, and they have one thing in common: This is their home and they’re determined to make it a better place. Overseen by the Brunswick County Chamber of Commerce, Future 10 is an honor given annually to 10 young professionals. Nominated by coworkers, supervisors, employees, fellow business owners and friends, each nominee must meet certain criteria. They have to demonstrate a commitment to excellence in their careers and to making a positive impact on Brunswick County’s communities and quality of life. They have to be younger than 40, a member of the Brunswick County Chamber of Commerce, involved in the community and active in the chamber. 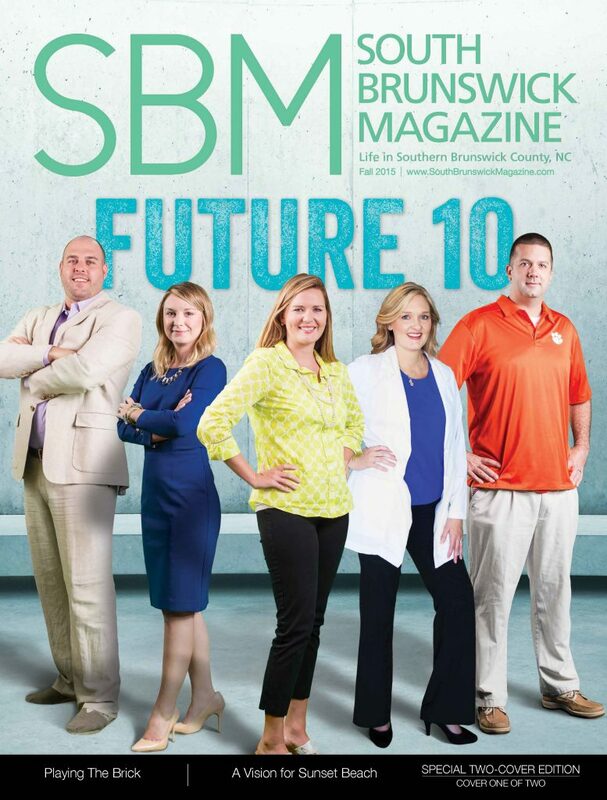 Though it’s not one of the requirements, we here at South Brunswick Magazine like to say that the Future 10 recipients exemplify the chamber’s motto: Building Community and Supporting Business. We spoke with each of Future 10 recipient to find out what fuels their love for Brunswick County, how they view the honor of being one of the Future 10, and how they like to spend their time when they aren’t hard at work. “Growing up here, I developed a passion for this area and have absolutely no doubt that this is the best place on earth to live and visit,” says Clifton Cheek, which explains why he joined the family business, Resort Brokerage, in 2003. For the last 13 years, he’s been helping families find a place to call their own in the place he loves, Brunswick County. Resort Brokerage is a true family business. 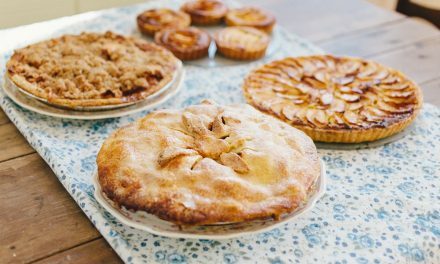 Cheek’s father opened the business in 1999. Cheek’s father and mother, one of his brothers, and his wife, Samantha, all work there. Cheek calls it “a blessing” to work with his family and to have the rest of the family (his in-laws and his other brother) nearby. This closeness goes a long way toward building a sense of community. In building that sense of community, Cheek stays involved. Ulam’s Future 10 award also made her reflect on how she’s grown in the community. Hailing from Cortland, Ohio, Ulam hopped from Columbus to Youngstown, Ohio, to South Carolina then to Florida for chiropractic school, then to Myrtle Beach. Two years ago that she found herself in Brunswick County. Remember Hermey the Elf? Sure you do, he’s the one on “Rudolph The Red-Nosed Reindeer” who declares, “I want to be a dentist.” Well Dr. Laura Douna has a Hermey Christmas ornament she hangs on the tree every year. As a dentist, it seems like there’s an uphill battle to keep that positive light shining on you; after all, no one wants cavities, and if you don’t floss or brush properly, cleanings can be uncomfortable. But Douna and her staff make dentistry more approachable, perhaps with a little of that elf magic, but more so because she’s passionate about providing her patients with the best care she can. Douna also finds ways to give to the community in ways that others might overlook. One of those ways is with North Carolina Missions of Mercy (NCMOM), a group that’s served 55,000 Carolinians since it began in 2003. NCMOM sets up free dental clinics to provide everything from cleanings to extractions to fillings for those who need but can’t afford dental care. “With each clinic we can see anywhere from 300 to 3,000 patients in two days,” she says. Most recently she’s helped with another organization, the Cape Fear Clinic’s Volunteer Referral Program, in which she provides free dental care to their patients once a month. In this work, though there’s no financial reward, though she does get to see an improved smile with every patient. McCumbee always wanted to be a teacher. From the age of 8, when her family moved to Brunswick County, she felt the calling to the blackboard. After a decade in the classroom, she made the jump to administration, a move she says allows her to implement ideas, strategies and changes in the classroom and the school that she’s thought about for her entire school career, both as a student and teacher. Though McCumbee is a National Board Certified Teacher and is currently working on her doctoral dissertation, her work pushes beyond the classroom. She’s the author of seven picture books designed to teach students and other young readers life lessons on how to handle themselves in certain situations and how to make positive choices. Dr. Monique Weddle, or “Dr. Moe” as she’s more commonly known, walked into the doors of Family First Health Center as a patient. She was in high school and had injured her neck. The chiropractors at Family First helped her, opening her eyes to a career path. As soon as the Ocean Isle native graduated from UNC Wilmington, she moved to Atlanta to study chiropractic at Life University. And now it’s a place where she’s helping shape the future. Through her work at Family First, she helps patients with pediatric and prenatal chiropractic care. In helping these young patients achieve proper alignment and correct imbalances, she’s enabling them to start their lives in the best way possible. “So many conditions can be lessened or reversed naturally through the body’s ability to heal,” she says, adding that she just helps that process along. In addition to the Webster Technique, a renowned pediatric chiropractic technique, and the use of other low-force pediatric adjustment techniques, Weddle helps her patients heal. She also brings in other factors like nutrition analysis to provide a more holistic approach to her patients’ health. Weddle assists everyone, not just her patients. She teaches free classes on health and wellness as a way to spread the word about chiropractic care, but more as a way to help promote more healthful nutrition, exercise and lifestyle practices. Nicole Ellen is a comforter and caregiver at heart. As a licensed professional counselor, she provides her clients — children and adults — with emotional support and guidance through the challenges of their lives. As a mental health professional, she faces these challenges every day, but she finds creative, innovative solutions to help every person she sees. She has crawled under couches and into hiding spots with frightened children, put on clown makeup to make kids laugh, even played Candyland with a grown man as a way to distract him from another panic attack. But the Puppy Protection Agency is one of her biggest, lasting creative endeavors. This approach to helping her youngest clients is only one of the ways Ellen works to strengthen her community. She also volunteers as a T-ball coach and softball mom, works in her church and takes an active role in everything her three daughters participate in, from drama club to dance teams. The Future 10 is something she calls “amazing.” Being recognized by her peers for “the hard work I have put into what I do in making a difference” is part of that honor, but so is “the opportunity that [this award] may give me the chance to help others that I may not have otherwise been able to reach” is part of it too. Chris Burrows didn’t come to Brunswick County to run a restaurant, he came to fish. He worked in bars and restaurants in college, and shortly after college he left the North Carolina mountains for the South Carolina low country to pursue his passion: fishing and writing about it. Charleston was ideal in many ways: the fishing was fine and the abundance of restaurants allowed him to keep one foot in the hospitality game. Along came Captain Brant McMullan, who offered Burrows his dream job at the Ocean Isle Fishing Center: running charters and writing for their website. 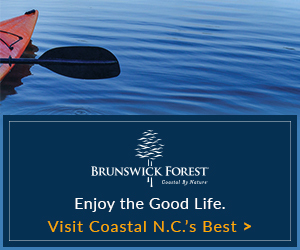 It wasn’t long before Brunswick County was home. As Burrows’ strengths started to show, he moved into a management position. Then Brant and Barrett McMullan approached him about opening a new restaurant in Shallotte. Through the work of steady improvement with his team, Burrows earned a place among the Future 10. She pursued a degree in communication studies, and as a senior at UNC Wilmington took an internship in the marketing and public relations department at Novant Health Brunswick Medical Center. That internship sealed the deal for her, and she was able to combine her love of planning and outreach with her desire to make a difference in the healthcare field. At Novant Health, she’s able to support all areas of the hospital through a variety of outreach programs and community events. This mobile mammography coach is a critical step in reaching women who live in remote parts of the county or may have difficulty getting to the hospital or a doctor’s office for regular screenings. And it’s just one way Bellamy helps present the hospital to the community. Another way is through events like the Oyster Festival. 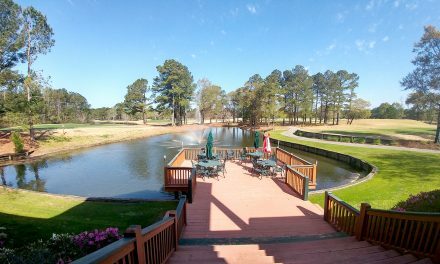 Bellamy is also a part of the Shallotte Junior Women’s Club and the South Brunswick Islands Shrine Club, but if she’s not busy with work, volunteering or putting on an event, you’ll find her and her husband outside, golfing, fishing, hunting, boating and taking part in Brunswick County’s great outdoors. “A community is only as strong as the people living in it, and while Brunswick County is rich in beauty and resources, there are many people here who are suffering for any number of reasons,” says Mark Bachara. “The obligation to help those in need is inherent in civic duty.” That’s his own philosophy on community and volunteerism, but he could be speaking for each of the Future 10 when he says this. Bachara’s an attorney at Bachara & Essey, a job that keeps him busy, but no too busy to put his time and energy into bettering his community. He’s a member of the Southport Rotary Sundowners (a division of Southport Rotary Club), serves on the Dosher Memorial Hospital Foundation board, is active in Communities in Schools and Brunswick Community Foundation, and acts as a Volunteer Judge for Brunswick County Teen Court. He’s also involved in the Brunswick Little Theatre, Amuzu Musical Productions and the Trinity Methodist Church Choir. So where does he find the energy to do all of this? “I’ve been working in some form or fashion since I was 12 years old,” he says. He’s 34 now. In the five years he’s lived in Southport, he’s made a name for himself and an impact on his new home town. But, he says, volunteering isn’t just about the community. He gets something out of it too. “I view each volunteering opportunity as a great way to help others, but also to improve myself,” he says. He adds that the growth one experiences through volunteering helps you become a better version of yourself, which explains how he’s had such an impact on a community in such a short time. Before starting Awesome Website Guys in 2015, David Hutnik held some odd jobs. Being from Indiana and growing up in a sea of corn, many of jobs available were agricultural in nature — corn detassler, strawberry picker, online manure merchant — but one day he stumbled upon the entrepreneurship program at Ball State University (David Letterman’s alma mater, which may explain why Hutnik’s sense of humor is so finely honed), and found that he loved the energy and creativity that’s so prevalent in entrepreneurs. For a few years he worked in online marketing, managing social media for companies large and small, but then he saw the chance to let that entrepreneurial light shine. “Working with a [website] template company and a web agency for the last eight years, I found a gap in the market and decided to take the plunge with my business partner Daniel Beasley to solve and service this need,” he says. Indeed, he’s embraced the salt life, spending his free time fishing, wakeboarding and generally beach bumming with his wife, Jackie, and daughter, Addie. But his entrepreneurial fire burns hot, and it found another outlet in Hutnik’s love for the outdoors. “I also own a race management company, Coastal Race Productions, with my mother-in-law, Johnna Terranga,” he says. Coastal Race Productions produces road races, putting on events like 5Ks and half-marathons across the area. Their series of races drew more than 2,500 runners from 35 states and Canada in 2015, and he plans to expand that scope as quickly as reasonably possible.